Kit Foxes have a body length between 38 and 52 cms (12.5 - 20.5 inches), a tail length between 22 and 32 cms (8.5 - 12.5 inches) and they weigh 1.5 - 3 kgs (3.25 - 6.5 lbs). 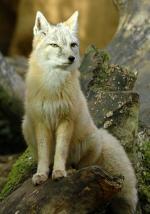 Kit Foxes can be found on the prairies and semi-arid regions of western USA. 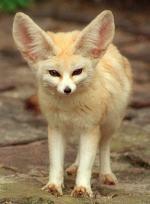 Kit Foxes are omnivores and they mainly feed on insects, small mammals such as rodents and rabbits, and berries. After a gestation period of 49 - 55 days, Kit Foxes give birth to 1 - 7 cubs. They are weaned at 2 months old and reach sexual maturity at 10 months old. 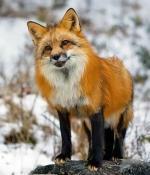 Predators of Kit Foxes include coyotes, bobcats, red foxes, feral dogs, birds of prey and humans. 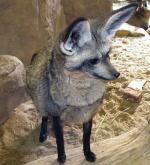 There are no subspecies of the Kit Fox. 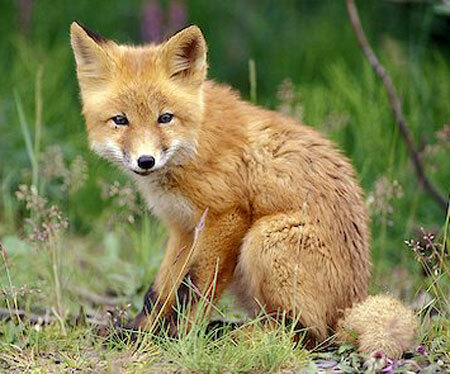 Kit Foxes are the smallest species of fox to be found in America.